James Meng brings in 22 years of healthcare industry experience to Mevion. 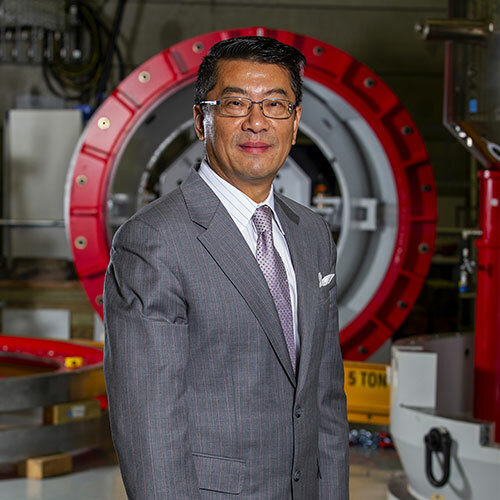 Dr. Meng’s professional and executive experiences include the management positions with Siemens Healthineers, Philips Healthcare and GE Healthcare. In these roles, he had the responsibilities for developing emerging medical technologies, creating the luminary segment, achieving market leadership position and exceeding the sales target. Most recently, James was the Chief Marketing Officer and the President of Alltech Medical Systems, a Chinese healthcare company. Dr. Meng holds a Ph.D. from the Nuclear Engineering Department of Massachusetts Institute of Technology, and Harvard/MIT Radiological Science and Technology Program, an MS from Nuclear Physics of University of New Hampshire and a BS from Nuclear Physics from University of Science and Technology of China.